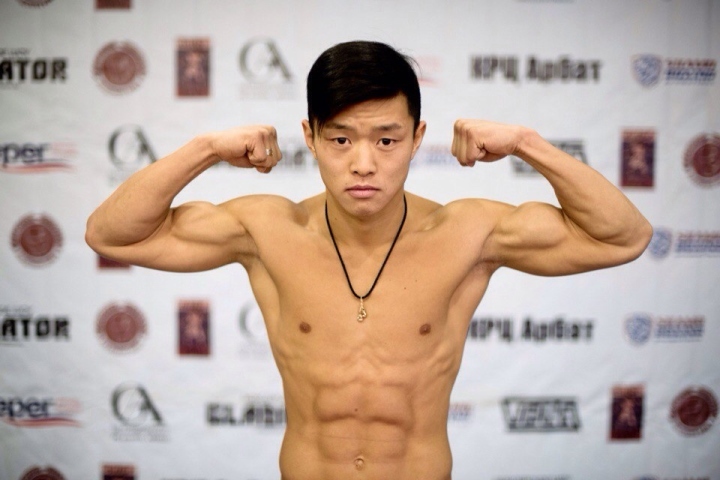 Despite being tipped as a superstar in the making, ruthless Kazakh Sultan Zaurbek is keeping a level head as he prepares for Friday’s assignment in Dubai – live on ESPN+ and iFL TV. “I’m very thankful for my team and I appreciate all the help and guidance they give me. I also want to thank my friend in London who helps me communicate. We all have a great understanding even though there are language barriers at times. Friday’s historic sold out card in Dubai is one step closer as the fighters weighed in today ahead of ‘The Fight – DXB Uncovered’ at Dubai’s Emirates Golf Club – live on ESPN+ and iFL TV. There is also a battle for the vacant WBC International super-flyweight title tomorrow, as unbeaten Aliu Bamidele Lasisi takes on Ricardo Blandon.